review of the presentation festival for high school students. The meeting centred around 4.open interviews, where Mr Mishima Koji of Dramacation Spread Centre served as the interviewer. 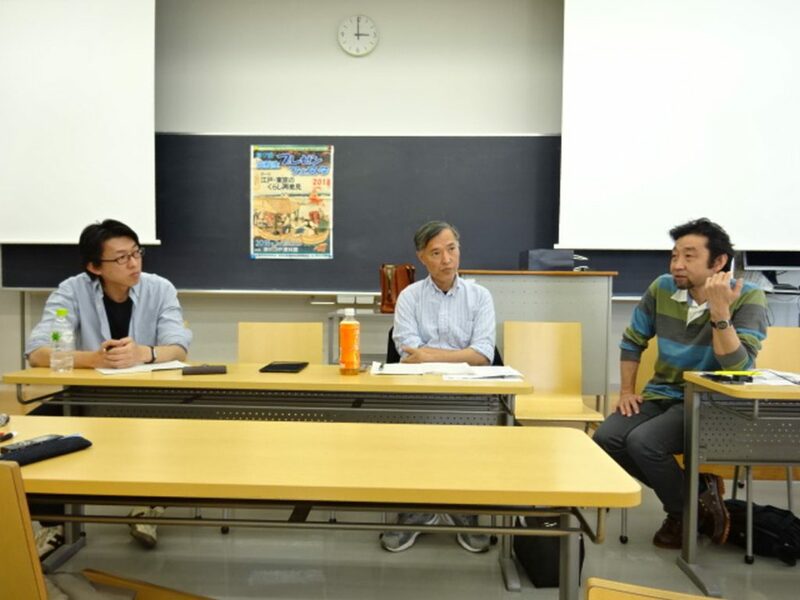 The interviewees were two members of the SAOL: Mr Miyazaki Michiharu (ex-teacher at Toho Elementary School) and Mr Kurihara Shigeru (ex-teacher of Tokyo Metropolitan elementary schools). Main points asked of them were 1. current situations of communication among children, 2. reactions of children today to communication games, 3. contributions of communication games to classroom administration and possible applications and development of such games, and 4. frequency of opportunities for teachers to experience these communication games. Main comments on the points above given below. Today’s children are really busy with school, lessons and cram schools. They rarely have chances to nurture communication skills. Teachers themselves should be aware of their own physicality. Otherwise, they couldn’t grasp children’s physicality. Teachers should be guaranteed of experience of learning because of the similarity of learning. How educational activities can be employed is the major obstacle. Small activities will provide a good starting point. This entry was posted in Regular Meetings on 21/04/2018 by staff.